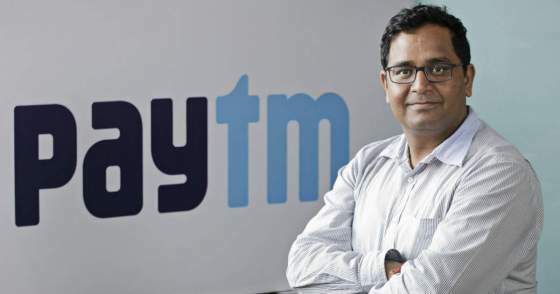 Vijay Shekhar Sharma ( founder of Paytm ) in 1997 while in college started a website called indiasite.net which he sold for 1 million US dollars after two years. He also had difficulty in studies while studying in Delhi College of Engineering because he could not speak English. It doesn’t have acronym Pay Thru Mobile anymore, it’s just Paytm. Initially it does,when Abhishek rajan ( VP of Paytm Travel unit ) came with this name. He registered a domain name PayTMOnline.com and programmed first version of recharge website as first merchant of system. Paytm Wallet is India’s largest mobile payment service platform with over 150 million wallets and 75 million android based app downloads as of November 2016. In 2015, Paytm received a license from Reserve Bank of India for starting India’s first Payments Bank. By use of this license Paytm can offer new services like debit cards,saving accounts, online banking and etc.In future you shouldn’t be surprised when you see Paytm’s debit card in someone hands. In March 2015, Ratan Tata of TATA group made personal investment in firm. Moreover in the same month Alibaba group invested $575 million in Paytm. It also borrowed 300 crore from ICICI Bank in March 2016 as working capital.